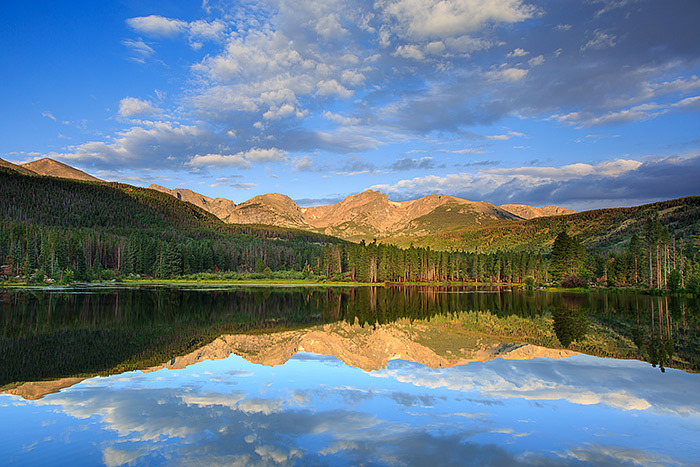 A completely placid and tranquil morning results in a mirror like reflection in the calm and peaceful waters of Sprague Lake. Beautiful clouds drift over the divide as Otis Peak, Hallet Peak,Flattop Mountain and Notchtop Mountain reflect in Sprague Lake's trout filled waters. Photo © copyright by Thomas Mangan.